Both EG and Vici secure top eight finishes at the Major. With upper bracket competition at The Chongqing Major narrowed to a single match remaining, the lower bracket teams had a slew of matches to get through in order to catch up. The first match of the day saw Vici Gaming go up against Chaos Esports Club in a series full of fast-paced gameplay. Even with both teams playing with such a fast pace, and generally being more focused on making offensive moves, only one of the games was close on both ends. Game one was a battle in the mid-lane while Vici controlled the rest of the map. Things went south quickly from the moment laning began, with Vici quickly pushing on either side and cornering Chaos. GGs came out at 26 minutes after Chaos had a few players picked off at a key moment. Behind 1-0, it would have been easy for Chaos to fold. Instead, they battled back into the series by taking a close win with a 21-17 advantage. This evened things up at 1-1 heading into the deciding game. Outside of a small surge near the final minutes, Vici pushed Chaos completely out of contention. With an all-out offensive, Vici took the win in a little under 30 minutes to move into top eight of the event. 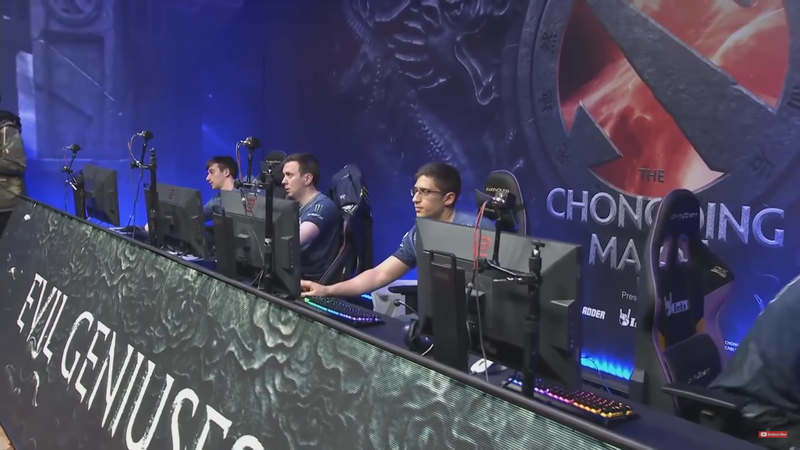 Immediately following Vici’s offensive win, Evil Geniuses, another well-known offensive powerhouse, stepped into the arena to battle Thunder Predator. With the ups and downs of their aggressive style of play seemingly steadying out throughout the playoffs, EG looked a little sluggish to start. TP managed to win most of the fights early on, but they failed to keep EG from farming on the side. That came back to bite them in the backend of the game, giving EG the resources necessary to pull off the win. Things didn’t slow down for EG after that—they dove right into the next match playing a slightly different lineup to grand results. EG kept TP on their heels throughout the laning stage, executing their attacks to perfection against an opponent that was reeling. EG completed the 2-0 sweep and knocked TP out of their first Major tied with three other teams at the 9th to 12th spot. Matches resume Jan. 25 at 10pm CT as Vici and EG face off in round four.